You can come to Poland for one up to three weeks and, as an international volunteer, help at a build site. We invite to take part in Global Village, our international volunteering program. 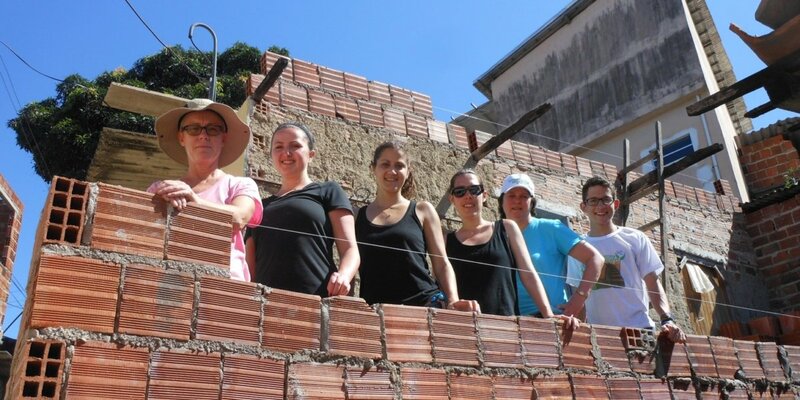 The Global Village program sends volunteers to build projects with Habitat for Humanity all over the world. Get your hands dirty on the work site, meet families whose housing situations have been improved with Habitat’s help, experience the area like a local and be part of a team of like-minded volunteers. No experience is required! With Habitat, you can help make the world a better place. More information about the Global Village program is available at: www.habitat.org. What does a Global Village trip to Poland look like? All trips include a mix of work, rest and free time. You can join us at a build site which is situated either in Central Poland (near our Warsaw office) or in Southern Poland (near our Gliwice office). As a Global Village volunteer, you will be part of a team consisting of up to 20 people and you will work hand in hand with our local instructors, who will provide your with all the necessary OHS training and guidance. Wherever possible, you will work also with the project beneficiaries and local volunteers (usually members of Habitat for Humanity school groups, so-called Campus Chapters). Your free time activities will depend on the location of your build site and the preferences of your team. If choose a project in the Warsaw area, you will normally visit Warsaw’s Old Town and its selected cultural attractions (for example, the Warsaw Uprising Museum or the Museum of Polish Jews). If you choose a project in the Gliwice area, you will normally visit Cracow’s Old Town and the Auschwitz Museum in Oświęcim. If you are interested in becoming our international volunteer, please visit the Global Village section at habitat.org where you will find a list of all the upcoming trips.